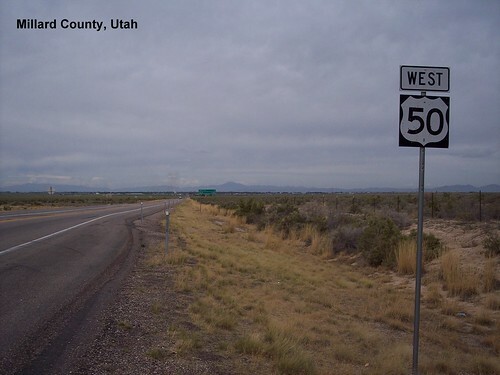 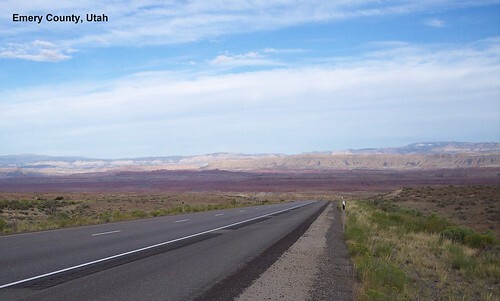 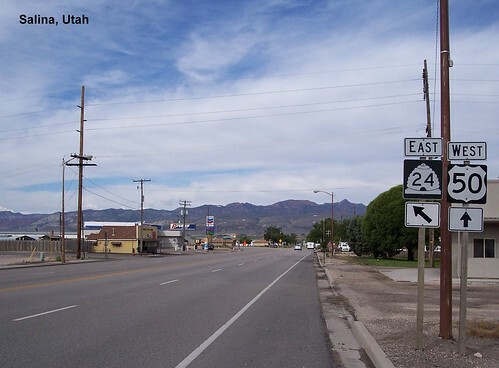 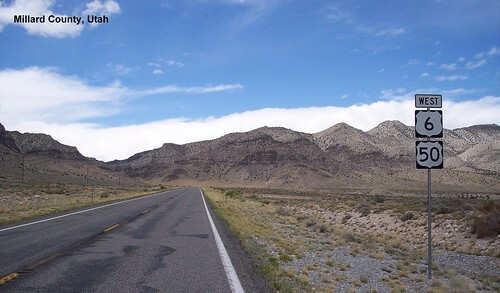 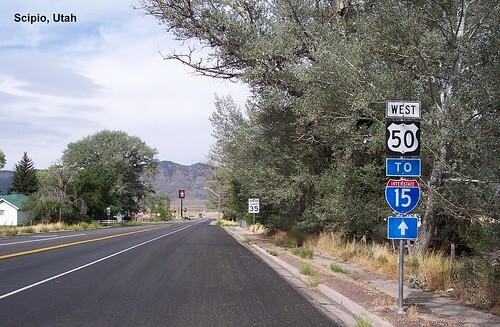 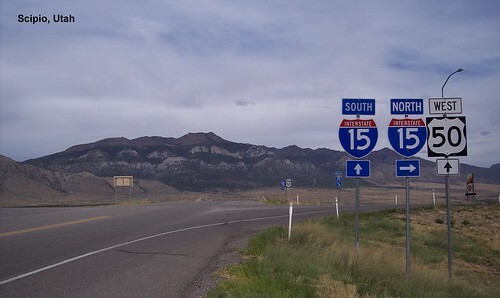 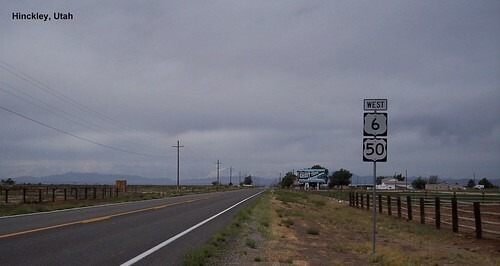 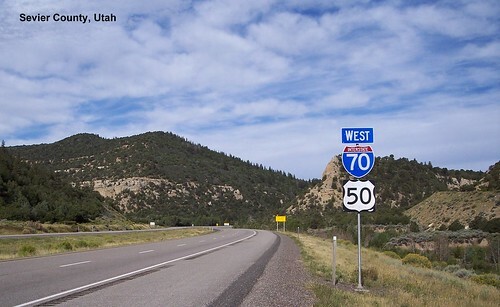 There was no sign in Colorado saying to turn onto I-70, so we stayed on old US 50 and crossed into Utah here. 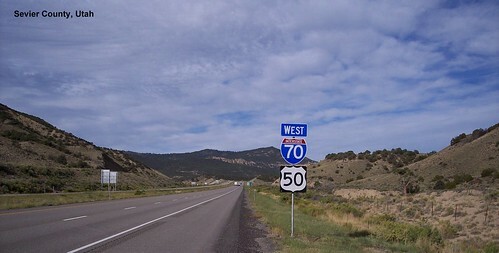 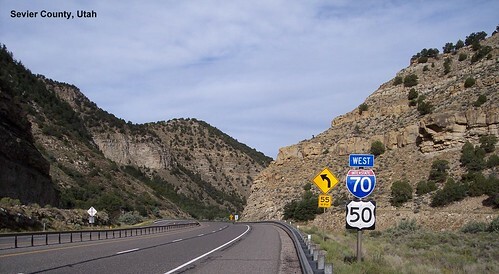 There were no US 50 signs on I-70 for miles, but then this one appeared. 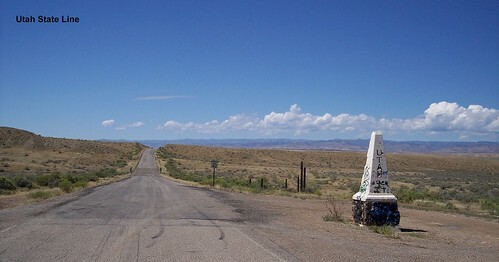 I took a picture at the same spot when I drove US 6. 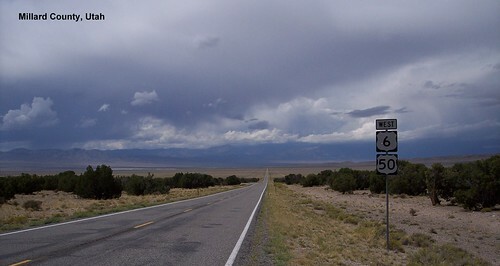 This time storm clouds were approaching.